E-Filing Training No Longer Required. 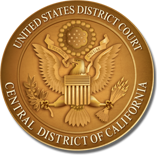 The United States District Court, Central District of California, has discontinued mandatory e-filing training for attorneys as a precondition for a CM/ECF login and password. Computer-Based Training (CBT) modules will continue to be available on the court's CM/ECF website; however, attorneys will now be granted a login and password without first completing training. It is important to note that if e-filing errors are high, the court may choose to order completion of the training modules on-line. If so ordered, logins and passwords may be disabled pending completion of training. Attorneys may request a CM/ECF Account by clicking this link. Please feel free to contact Cris Squieri, Operations Manager, at 213-894-1927 if you have any further questions.